A quick update on the opening fixtures of the season. The least said about the opening day against Caberfeidh the better, a very poor performance and a disappointment for all involved. The opportunity to get immediately over this result was denied by the fact that Aberdeen University’s Balgownie pitch was rendered unplayable by the previous week’s fixture. The fixture will be rescheduled for later in the season. 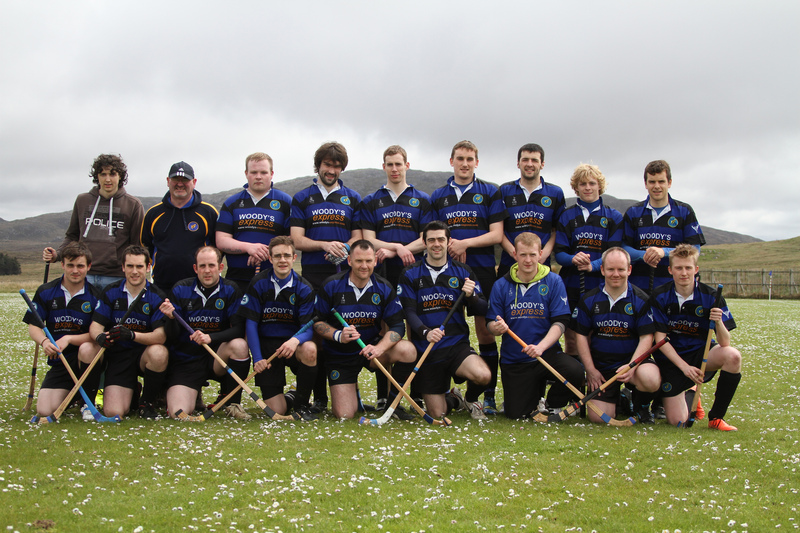 Although the Lochcarron game started off almost as much in the same vein as the Cabers match, with the Carrannaich gaining an easy two goal lead, we thankfully showed the form that the team is capable of in the end of the first half and throughout the second which left us within reach of a positive result. Unfortunately, we had left it a little too late to grab a result, although Dukey’s goal with 6/7 minutes left made it a very nervous ending for the hosts and it set a standard upon which to build for the rest of the season. 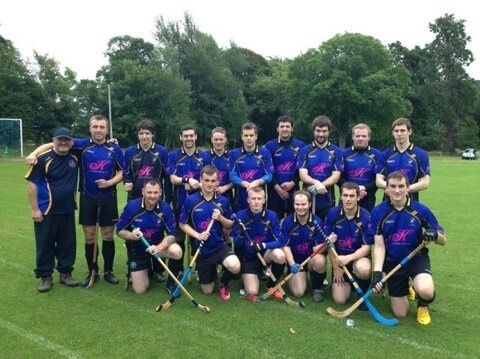 Next up is Boleskine Camanachd at Inverarnie this Saturday, throwup TBC. The club has announced that Scott Murray has left the club for Aberdeen University in time for the 2016 season. Scott has been living in the Granite City for the last couple of years and has made the difficult decision to leave his boyhood club to play for the team in his city of residence. 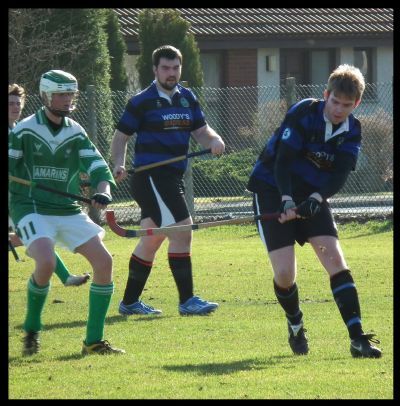 Scott has been a Lewis stalwart since the Boyd MacKenzie days and has grown into a highly respected player in North reserve shinty. Club captain in our first league season and a two time player of the year, he finished 2012 as the club’s top scorer and has always been a great example of fitness and hard work. In recent years Scott has continued to play an important role on the park, although his appearances have become less due to living away. He has also been the driving force behind this very website and he will continue to be a supporter of the club off the park. Aberdeen gain a strong, athletic player and whilst it will be very strange to see him in another team’s colours, all at the club would like to wish Scott well and he will always be welcome back in the Dubh is Gorm. It will be exactly five years this Saturday that we started out our big adventure as a league shinty club with a brave 5-1 defeat against Beauly. What follows is a synopsis of our progress in the leagues over the last five years, as you can see there has been steady progress made, with a steady increment of goals and points with every season. 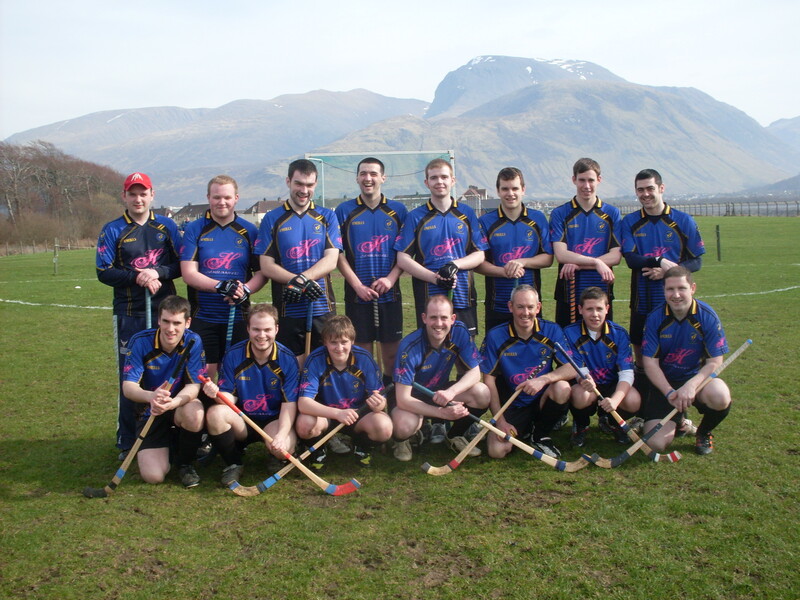 2011 was obviously an experiment from which many of the enemies of island shinty expected nothing less than total humiliation for us (some whispers were even heard that we wouldn’t score a goal the whole season). In that regard, scoring a goal a game and gaining a point vs Strathglass in Cannich and defeating Ardnamurchan in Lewis was considered a success by player-manager Paul Duke. 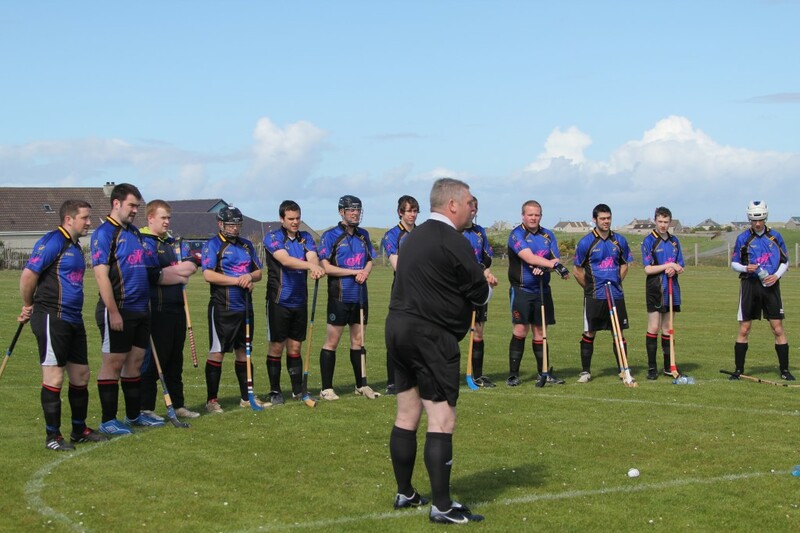 Those who were in Beauly on the first day of the season will have it live long in the memory; Stompy’s first minute goal was like a gift from Heaven. 2012 saw us pick up a first ever win on the mainland at the Bught Park, as well as completing the double over Inverness in Shawbost. 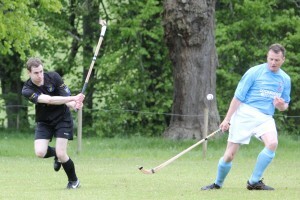 Draws were achieved in an epic at Freuchie against new boys Strathspey, and yet again at Cannich. Sadly, Strathglass became the first team to fail to travel to Lewis and points were granted as well. It gives nobody at the club pleasure to receive points from teams who fail to travel, and whilst there have never been more than two occasions per season where this has happened, it is never a happy event. The increase in goals came about thanks to Scott Murray who finished top-scorer as well as Will Church emerging as a goalscorer. The great decrease in goals conceded was another marker of the side’s growing maturity as Paul Duke stepped down from his managerial role. 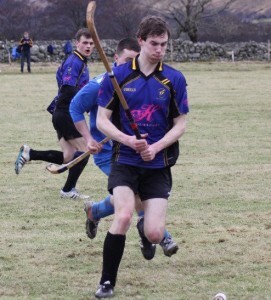 2013 was Iain “Diablo” Sinclair’s first season in charge and the season was marked by an increase in goals thanks to Duncan MacIntyre and Will Church racking up high totals. What was marked was the number of games drawn or lost by only one goal. 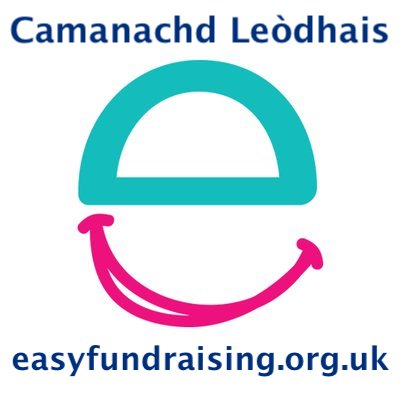 Draws were gained at Cannich yet again as well as Lochcarron and Cabers. The goals against column was badly affected by two heavy defeats to Lochaber, but it was otherwise another year of improvement at the back. However, Inverness gained revenge for their double defeat the season before, taking Lewis’ scalp at Shawbost and possibly aggrieved to not avoid bottom spot on goal difference thanks to our last day draw with them at the Bught. 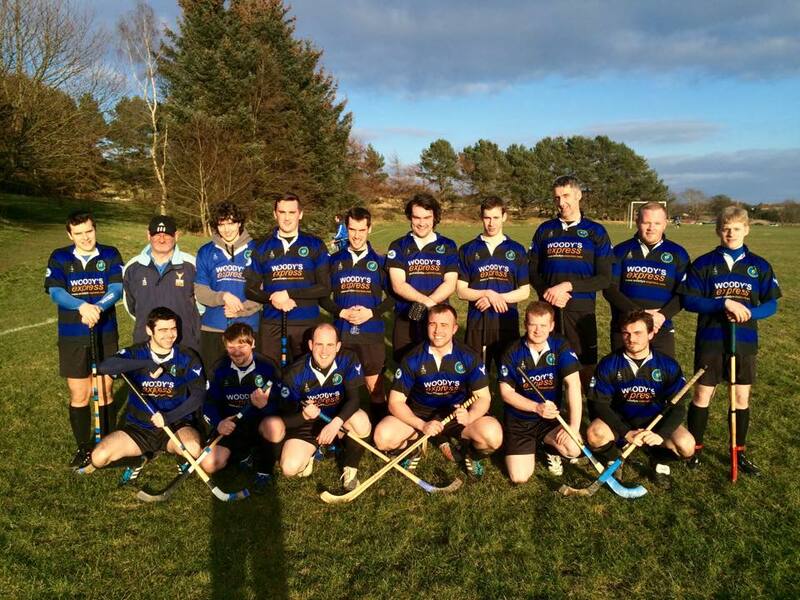 2014 saw the North Division Three butchered down to six teams and a split, proposed by Strathspey put in place with the top three and the bottom three playing off. This caused no end of problems, with three teams (Lochbroom, Strathspey, Lewis) finishing on equal points and almost equal goal difference and goals scored as well! 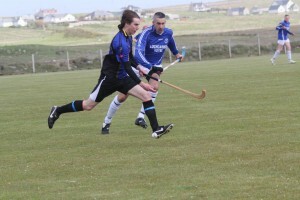 (Kilmallie were one point behind and only due to giving a walkover to Cabers). Lewis slipped into the top-three based upon some formula which Astie had put in place. 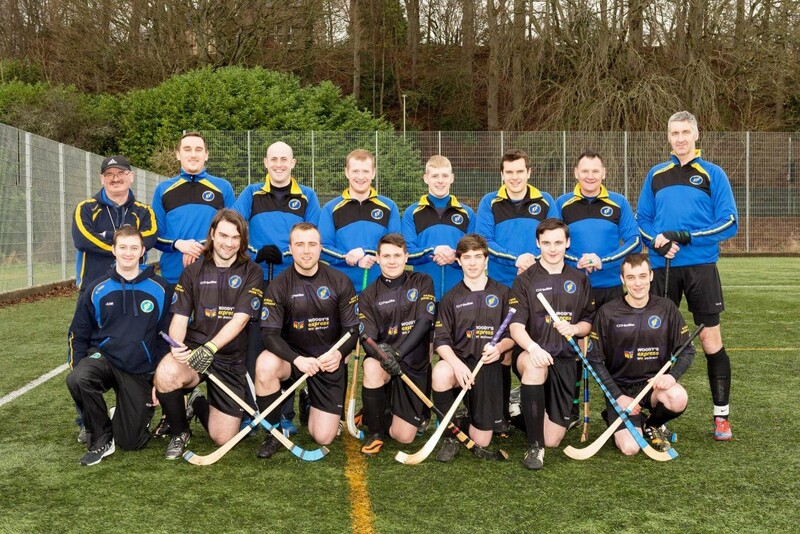 Whilst we benefited from the league set-up, it was not the best solution for shinty at the lower levels. Over and above that it took six weeks to finish the six fixtures left, the problems continued after the split as the bottom half were essentially dead rubbers, which Lochbroom failed to fulfil (a sorry end for our neighbouring club, marking their last competitive action to date) and in the top half where Strathspey’s own split required them to visit Shawbost yet again after a successful cup visit and an unfortunate walkover earlier in the season. The Grantown side sadly failed to travel yet again and may have been aggrieved that this handed the initiative to their island rivals. Whether or not this meant that Lewis were worthy of second place in the league was a moot point. We showed up well in the truncated league, defeating Inverness twice, overcoming champions Cabers (delaying their league title celebrations), and beating Kilmallie for the first time, as well as being the better team in both drawn games against Lochbroom. 2015 was the final year of Diablo’s reign and it was a year of challenge with the club now amalgamated into North Division Two. For the most part the club competed well, continued to progress and equalled its points total from 2014, There were wins at Boleskine, Cabers and Inverness as well as home wins against Inverness and Strathspey with two walkovers from Kilmallie and Lochaber reflecting the two from Strathspey the year before. There were no draws. In a more challenging division it was no surprise that the goals against increased, although some of the scorelines were disappointing.